Pirates Will Invade NBC With Hugh Laurie!?!? NBC is looking to get in business with pirates with a new project they’re developing called ‘Crossbones’. This series is set to be a ten episode mini series set in 1715 on the Bahamian island of New Providence, which is the first functioning democracy in America. However, there is a ruthless pirate Edward Teach, otherwise known as Blackbeard the pirate who leads a band of outlaws and criminals. NBC is courting Hugh Laurie at the moment to take on the Blackbeard role, which is all sorts of cool as I am a huge Hugh Laurie fan and an equally big fan of anything having to do with pirates. 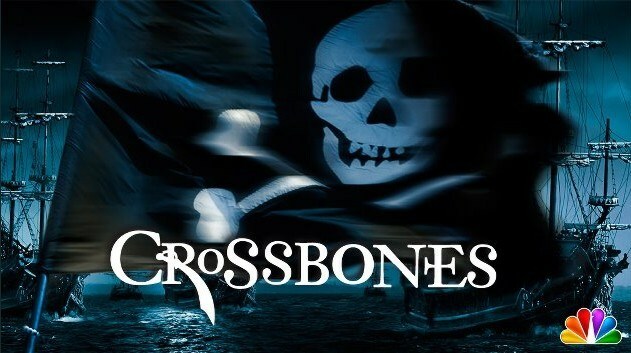 ‘Crossbones’ is the product of Neil Cross, who created the amazing series ‘Luther’ starring Idris Elba. And if Laurie commits to this project, he will finally be able to let his british accent shine, unlike his previous series ‘House’. Looking forward to see what comes of this pirate series. Keep your eyes and ears open for this one. Warner Bros. Wants Javier Bardem for Blackbeard the Pirate in New ‘Pan’ Film!! Interview with François le Foutre on ‘The Seamen Sexology’! This entry was posted on Monday, November 26th, 2012 at 12:53 am	and is filed under News, Television. You can follow any responses to this entry through the RSS 2.0 feed. You can skip to the end and leave a response. Pinging is currently not allowed. « ‘Downton Abbey’ Receives a 4th Season!! !